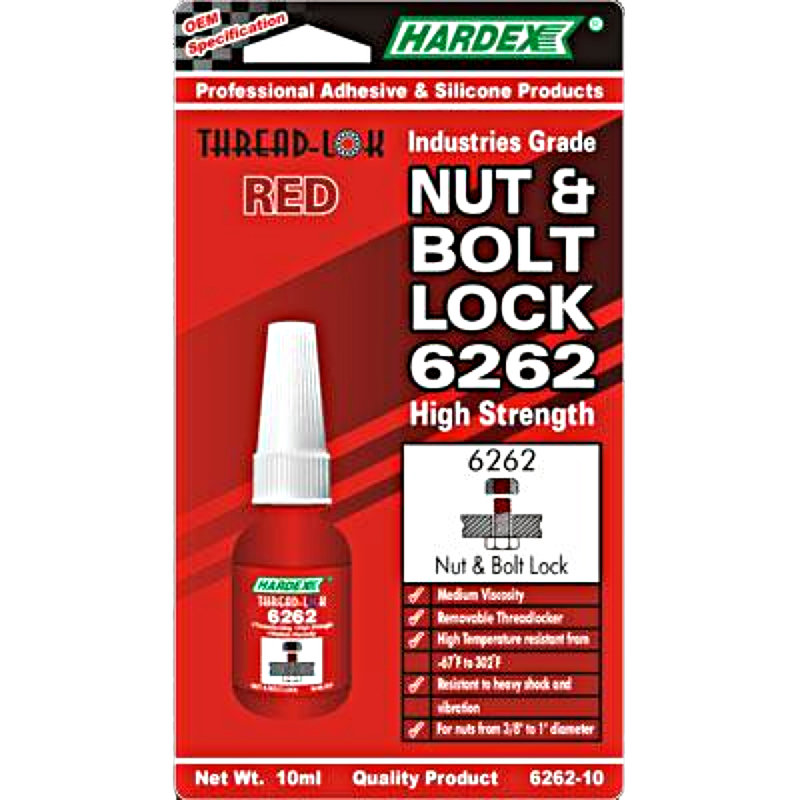 Threadlock 6262 is an anaerobic threadlocker of high strength and medium viscosity. It is specially designed for heavy duty threaded fastening application which is resistant to heavy shock, vibration and stress loads. It does not migrate or drip after assembly due to the specially designed lubricating properties. Heat may be required to disassemble the part. Use on rail track bolts, construction equipment bolts, automotive and off road equipment.